The observation and analysis of more than 400 policies and projects enabling co-creation, co- production, and co-governance of urban assets and services in more than 130 cities (www.commoning.city) led us to identify five design principles and a legal and financial toolbox to create partnerships between the urban commons and the public, private, knowledge, social sectors (the so-called quintuple helix). These examples include institutional commons-based arrangements from the scale of the individual resource to the entire city as the resource, and consequently the policies and platforms that enable those experiments become more complex. All in all, our observations and study of the examples show that there are emerging new ways of innovating and supporting new ways to co-create, co-produce and co-manage urban shared resources at various scales. However, the process used to arrive at some of these experiments and ways that they can be replicated within a particular local context differ greatly. Based on our experiences working in Italian cities and observing work carried out in other cities developing experiments through similar approaches and policies, we codified a project/policy cycle by which interested cities or single actors can collectively undertake to experiment a commons-based approach to face any urban challenge and to apply it to a range of urban assets and services. We call this the Co-City Cycle. 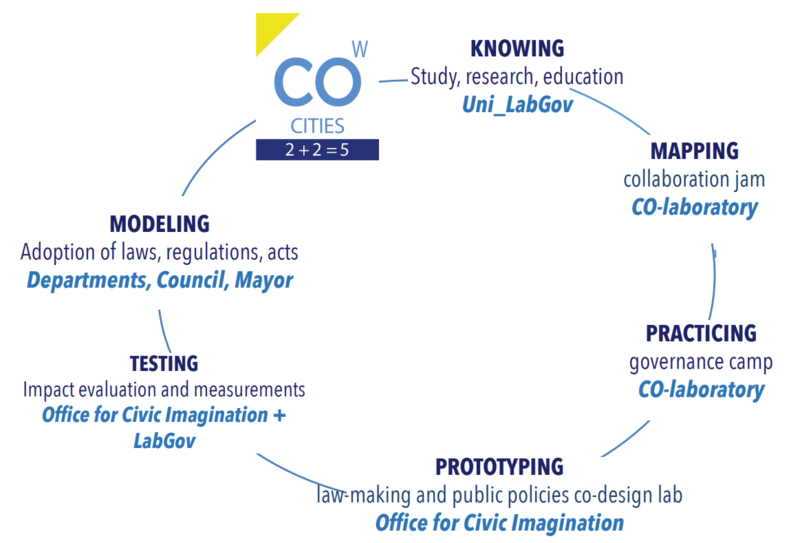 The Co-City Cycle is composed of six phases: knowing, mapping, practicing, prototyping, testing and modeling. The first phase of the protocol, knowing, is aimed at fostering through cheap talking the identification of potential urban commons and the emerging of an active community through dialogues with key interlocutors in the city (scholars, activists, experts, practitioners). Findings on cheap talk in the study of the commons (Ostrom 2009; Poteete et al. 2010) show that it favors cooperation. The act of listening and acquiring knowledge from local actors through face-to-face, informal and pressures-free communication activity is the key activity of this phase. In the Co-City cycle, the cheap talking is realized through discussions and co-working sessions organized in informal settings with experts, key testimonials of NGOs or social enterprises, activists and practitioners active in the city for the urban commons, experts and scholars of relevant areas (urban planning, service design, communication, economic sustainability, governance). The output is the identification of existing or potential urban commons and communities active in the city to realize an overview/picture of the existing practices and start stressing the attention on specific urban areas that could be potentially object of the experimentation. Next is the mapping/calling phase which develops in a twofold direction: analogic (or offline) and digital (online or e-mapping). The main tools of this phase include fieldwork activities in the relevant area from which information gleaned in the cheap talking phase is employed to begin to map potential urban commons. Starting from them, the mapping process goes deeply in order to understand the characteristics of the urban context in order to design and prototype appropriate governance tools later on in the process and to select an area of experimentation.  This phase might also include the use of tools developed in previous applied and experimental research on the urban commons, such as ethnographic work, as well as active field observation and exploratory interviews or surveys. It can also include the creation of a collaborative digital platform as a tool for disseminating information and engaging the community. The mapping phase provides a visualization of urban commons through relevant civic initiatives and self-organization experiences and the output is the identification of the most appropriate areas where to conduct the experimentation. The third phase, the practicing phase, is experimental in nature. At the heart of this phase there is a “collaboration camp” where synergies are created between emerging commons projects and local authorities. Collaborative actors are identified from various sectors from the quintuple helix who are willing to participate in co-working sessions organized to identify possible synergies and alignment between projects and relevant actors that might culminate in a “collaboration day” which might take the form of placemaking events—e.g. micro-regeneration interventions, creation of a neighborhood community garden – as a leverage to make the proactive communities emerge and start test and prepare the actions for start of the co-design process. The fourth phase, the prototyping phase, focuses on governance innovation. In this phase, participants and policymakers reflect on the mapping and practicing phases to extract the specific characteristics and needs of the community served. This phase also foresees the realization of co- design prototypes to solve the problems identified in the previous phases. The fifth phase is the testing phase, that also includes evaluation. In this phase, the governance/policy prototype is tested through implementation, monitored and evaluated. The evaluation has both qualitative and quantitative metrics to assess. The evaluation is mainly aimed at measuring whether the implementation of the prototype is consistent with the design principles and objectives identified throughout the process by the different participants, similar to the ex post policy analysis that is aimed at determining to what extent it has performed as expected. (Wu & al. 2018, 124/128). Of course, evaluation methods cannot be copied and pasted uncritically. It is important to adopt the evaluation methods and techniques to the local conditions and the peculiarities of policy tools for urban co-governance. The evaluation was first tested in the Co-Bologna process. The evaluation was focused on the implementation of the Bologna Regulation, that indeed has to be considered a prototype also according to its article 35. The evaluation was carried from October 2016 until May 2017. The unit of analysis are 280 pacts of collaboration signed under the Regulation from March 2014 to December 2016. It was based on both quantitative and qualitative methods and consisted of three steps: 1) qualitative and quantitative coding of the pacts’ text 2) Survey for analyzing democratic responsiveness of the Regulation, addressing the civic signatories of the pacts 3) confirmation of the results and deepening of analysis through group interviews/focus groups with a respondents’ sample. On the basis of the results of this evaluation the City of Bologna as well as any other city which adopted a similar piece of regulation could transform the 2014 prototype regulation into a model regulation. 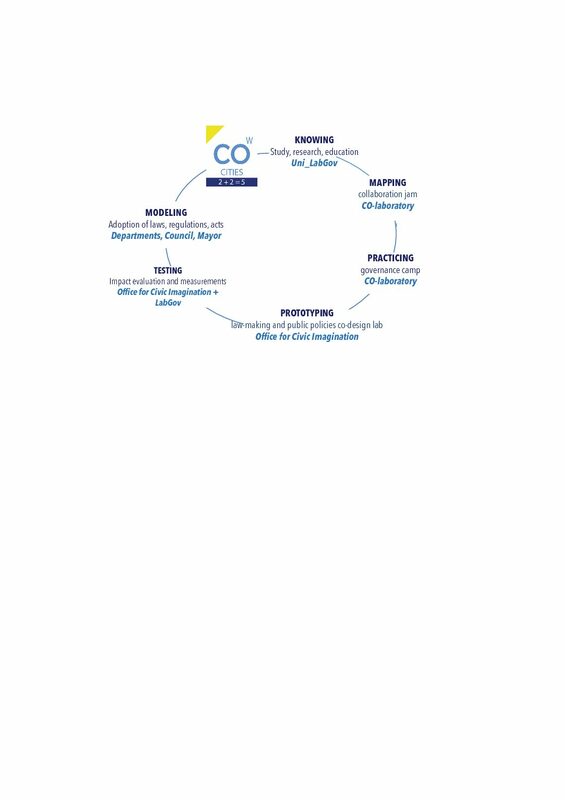 Therefore, the utilization of the evaluation in the Co City cycle is that of policy learning (Dunlop, 2017) of two types: social learning, involving different types of actors from inside and outside governments and existing policy subsystem, in this case the actors of the quintuple helix of urban governance of innovation) and government learning, that involves reviews of program behavior by government actors and is aimed at improving the means by which certain policies are administered (Wu & al. 2018, 132-135). Finally, the modeling phase, where the governance output prototyped and evaluated in light of the first implementation adapted to the legal and institutional framework of the city in order to ensure the balance with the institutional and legal urban ecosystem. This phase is realized through the study of urban norms and relevant regulations and administrative acts and through dialogue with civil servants and policy makers. This is an experimental phase involving perhaps the suspension of previous regulatory rules, the altering of bureaucratic processes, and the drafting of new policies which might also have a sunset clause and then a re-evaluation period. It can also involve the establishment of external or internal offices or support infrastructure in the city to support the policies and the “commoning” across the city. Adam Smith used the image of the Leviathan State to depict the command-and-control State, Vincent Ostrom together with some collegues coined a new image for the welfare state. Since Reagan and Tatcher attack on Big Government, advocating for Small Government, until the moderate progressives decide to come to terms with conservatives and dilute the idea of Big Government, suggesting to take a third way (Blair and Clinton) which is after all bigger Government than Small government and a smaller government than Big Government. Sharing economy builds on new or revived social patterns having important business, legal and institutional implications: the social practices of sharing and collaboration. They both build on the well known social practice of co-operation. (iv) on a smaller, local scale some sharing economy initiatives might be limited to the common use or management of physical assets (e.g. co-working spaces, urban commons, etc.) or to new forms of peer-to-peer, sometimes street or building level, welfare systems. Many think that the main actor of sharing economy is no longer the “consumer” willing to own something or buy some service, but rather a citizen, commoner, user, maker, producer, creative, designer, co-worker, digital artisan, urban farmer willing to have access to some service or asset that is needed to satisfy some of her needs. However, others argue though that the sharing economy actor is in many instances also someone willing to act and take care of, manage, generate or regenerate a common, open access resource, material or immaterial, without the intermediation of a public or private provider, on a peer-to-peer, person-to-person small scale level. Thus in the sharing economy the actor is not a mere “economic actor”. It could rather be a social or personal or civic actor for whom traditional economic motives are secondary or entirely absent. Some of the SE realms are not necessarily “economies” in the strict sense, but social communities and networks of collaboration that generate new economic ventures or are functional to existing economic activities. A distinction between the various forms of sharing economy is however needed. They all use the same social paradigm, the act of sharing, collaborating, cooperating. Yet they are very different from one another. There is room to spell out those forms of sharing economy that perpetuate in some way the same social and economic dynamics of the pre-existing economic model and apply to each of them a different legal regime. The profit/non-profit divide does help in reading sharing economy initiatives, but it is not sufficient to draw the line between different forms of sharing economy. There are forms of profit/non-profit activities in almost each of the sharing economy realms. Also the profit/non-profit criterion is increasingly questioned even by standard economics as new hybrid forms of business arise. A first distinction could be drawn between “sharing economy in the strict sense” and collaborative forms of sharing economy by framing collaboration and cooperation as added layers of sharing. As a matter of fact a distinction could be made between sharing economy initiatives that create and ossify a distinction between different typologies of users (consumers-users vs. providers-users) and sharing economy initiatives that foster peer-to-peer approach in which every user could be provider and consumer at the same time or even be involved in the platform governance. Even further cooperation could suggest a commons-based approach to sharing economy. If the actors involved do not just share a resource but collaborate to create, produce, regenerate a common resource for the greater public, the community, they are co-operating, they are pooling for the commons. “commons-based economy”, “open cooperativism”, “open platform cooperativism”  for sharing economy initiatives that are collectively owned or managed, democratically governed, do not extract value out of local economies but anchor jobs, respect human dignity and offer new forms of social security. Finally, the growth of sharing economy should only partially be considered a revolution and/or a consequence of the crisis. For some aspects it might also represent, thanks to information technologies, the reverse-transformation or the transition of some sectors of the current economic model to long-standing economic traditions and economic models’ (e.g. cooperative economy, social economy, solidarity economy, handicraft production, commons economy etc.) and even to ancient forms of economic exchange (e.g. the bartering economy), which are alternative to capital-intensive forms of market economy. Encyclical Letter Laudato si’ of the Holy Father Francis on care for our common home (24 May 2015). See paragraphs 13, 14, 90, 211. See also L. Trotsky, Attention to small things, (1 October 1921). For an archetype of individual willing to collaborate or “reciprocate” see for instance the “homo reciprocans” of S. Bowles, H. Gintis, Homo reciprocans, 2002. A. de Tocqueville, Democracy in America, 1835. See C. Iaione, Economics and law of the commons, 2011. H. Arendt, Vita activa, 1964. D. Bollier, Think like a commoner: a short introduction to the life of the commons, 2014. S. Foster, Collective action and the Urban Commons, 2011; C. Iaione, The Tragedy of Urban Roads, 2009. J. Schor, Debating the sharing economy, 2014. K. Polanyi, The great transformation: The political and economic origins of our time, 1944. When Elinor Ostrom decided to start the study of the commons, it was almost immediate for her to start from the commons that had the most long-standing tradition in terms of social practices, economic sustainability and institutional design. In Mantua what can become a “Co-Cities” movement moved its first steps. Co-Mantova is a prototype of an institutionalizing process to run cities as a collaborative commons (see Jeremy Rifkin‘s definition) and therefore as “co-cities“. Co-cities should be based on collaborative governance of the commons (inspired by Elinor Ostrom‘s work) whereby urban, environmental, cultural, knowledge and digital commons are co-managed by the five actors of the collaborative governance – social innovators (i.e. active citizens, makers, digital innovators, urban regenerators, rurban innovators, etc. ), public authorities, businesses, civil society organizations, knowledge institutions (i.e. schools, universities, cultural academies, etc.) – through an institutionalized public-private-people/community partnership. This partnership will give birth to a local p2p physical, digital and institutional platform with three main aims: living together (collaborative services), growing together (co-ventures), making together (co-production). The project is supported by the local Chamber of Commerce, the City, the Province, local ONGs, SMEs and knowledge institutions, such as the Mantua University Foundation and some local schools. CO-Mantova builds on the experience developed by LabGov through the “City as a Commons“ project and the “Regolamento sulla collaborazione per i beni comuni urbani” (i.e. Regulation on collaboration for Urban Commons which greatly benefited from Sheila Foster’s work on urban commons) that LabGov contributed to draft for the City of Bologna at the end of that project. Principles and rules embedded in the regulation inspired the drafting of the CO-Mantova Collaborative Governance Pact (which is soon going to be translated into English), a “patto di collaborazione” for the territory. The first action has been seeding social innovation through the launch of ideas seeding call “Culture as a commons” to make the social innovators in Mantua emerge. Second step has been the co-design laboratory “Enterprises for the Commons“, an ideas camp where the seven main projects emerged through the call were cultivated and helped create synergies with each other and the city. The third phase has been the governance camp, a collaborative governance scheme prototyping stage which led to the drafting of the collaborative governance pact, the collaboration toolkit and the sustainability plan. Fourth and final phase is the governance testing and modeling through the launch of a public consultation in the city on the text of the Pact and a roadshow generating interest in CO-Mantova among possible signatories belonging to the 5 categories of collaborative governance actors. “collaborative governance” of the commons is a legal/institutional device whereby the five actors of the collaborative governance – social innovators, public authorities, businesses, civil society organizations, knowledge institutions – co-manage urban, environmental, cultural, knowledge and digital commons of a city through an institutionalized public-private-people/community partnership. – Legality: the compliance with the principles and rules dictated or accepted in the legal system is the cornerstone on which the entry and stay in the pact is based. The law is intended not only as a means of guarantee for civil coexistence within and outside of the pact, but also as a fundamental tool of cultivation of social cohesion and competitiveness of the territory. Beyond the pact, CO-Mantova led to two governance outputs. One is the Pact itself as an external governance tool that whoever wants to join the Pact has to agree upon. The other is the creation of a Collaboration Handbook or Toolkit overseeing the day-by-day collaborative life within the Pact. In general terms, the actors of Co-Mantova are going to be divided in three groups; social innovators, the technical unit, and the collaboration community. The collaboration toolkit of Co-Mantova is a fundamental instrument to shape the collaborative process among the actors. Some of the contents of the collaboration toolkit are, for instance, rules to inform the collaboration among social innovators (meeting with community and creative youth, citizen’s involvement, new members, personalised pacts), rules for the use of Co-Mantova as a physical and economic collaborative services platform, rules of collaboration for partners and external entities. Another outputs of the co-design process that led to the creation of CO-Mantova is the sustainability plan, realized in order to ensure to the platform Co-Mantova a long-term financial and economic sustainability. From a first analysis of data we can say that even the Mantua area is affected by the same peculiarities of the Italian system, in the presence of a high number of SMEs, but unlike the Italian trend, these SMEs, account for a larger proportion of working population. On the one hand, this could make it more vulnerable to the business system of Mantua, because the population involved in the instability of these companies is representative of a greater number of people than the national average. On the other hand this morphology of the business system is a feature that could be maximized through networking and collaboration tools, such as the initiative to CO-Mantova aims to do. The last outcome springing out of co-design process that led to the creation of CO-Mantova is the communication Plan. CO-Mantova.it website is the centerpiece. So is the public consultation process we launched on the whole CO-Mantova process/pact and all other initiatives on the ground and through traditional and social media that CO-Mantova has carried out so far and will be carrying out in the next future. Stay tuned, participate and join in CO-Mantova and the co-cities movement (email to staff@labgov.it)! The definition of urban commons is provided by the “Bologna Regulation on collaboration between citizens and the city for the cure and regeneration of urban commons“. Murray, Calulier-Grice and Mulgan, Open Book of Social Innovation, March 2010.